The sircles IT blog | 烙 Cryptocurrency Auto Trading Robot Beta made Scage rich! SPAM!!!! About a internship! Fake Resume or CV SPAM! | Mac Detox Software - is it a good thing? 烙 Cryptocurrency Auto Trading Robot Beta made Scage rich! SPAM!!!! 🤖 Cryptocurrency Auto Trading Robot Beta made Scage rich! SPAM!!! 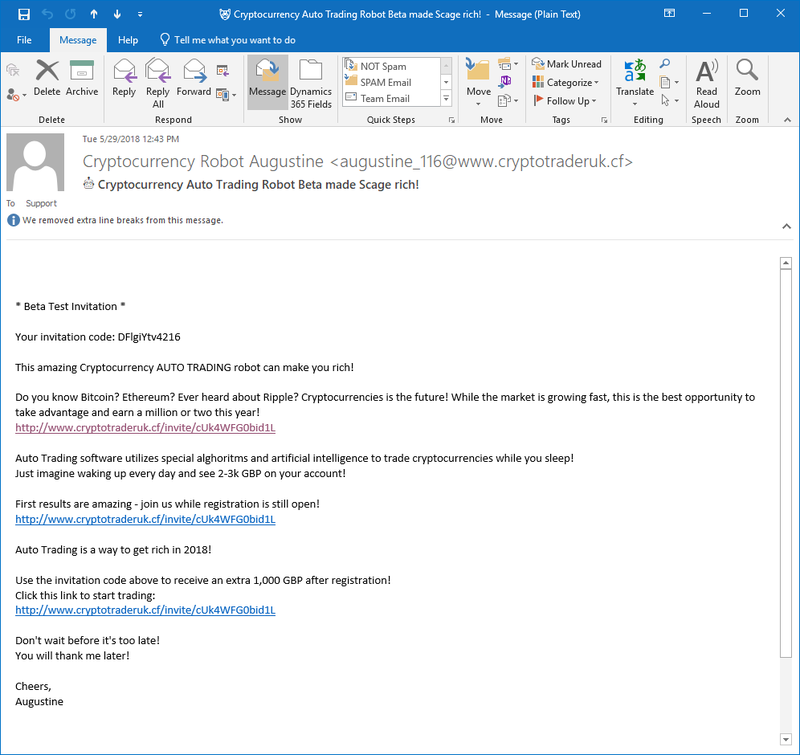 Beware of the latest brand of spammers who bring together two elements of the modern financial world - Cryptocurrency and Artificial Intelligence. 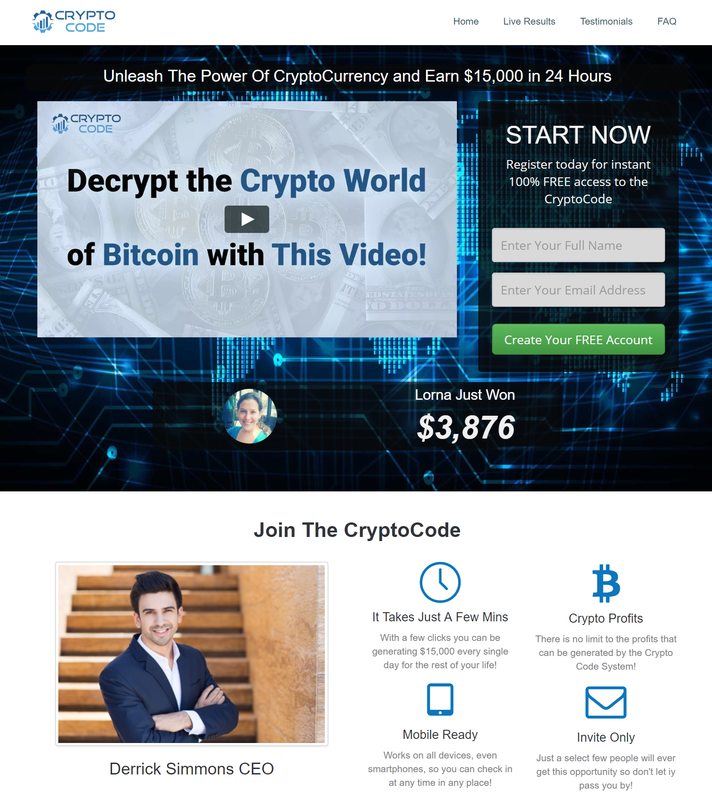 They claim to have AI computers that deal in cryptocurrency on your behalf and so make you huge sums of money. These supposed companies - invariably they are registered on an island in the Caribbean - offer to get these computers to deal on your behalf day and night in order to increase your capital. Before you invest with anyone, get opinions from a finance professional so that you can be sure that you are not about to be ripped-off. If we take a look at this con, we can see a few elements that are typical in their setup. This amazing Cryptocurrency AUTO TRADING robot can make you rich! Do you know Bitcoin? Ethereum? Ever heard about Ripple? Cryptocurrencies is the future! While the market is growing fast, this is the best opportunity to take advantage and earn a million or two this year! Auto Trading software utilizes special alghoritms and artificial intelligence to trade cryptocurrencies while you sleep! Just imagine waking up every day and see 2-3k GBP on your account! First results are amazing - join us while registration is still open! Auto Trading is a way to get rich in 2018! 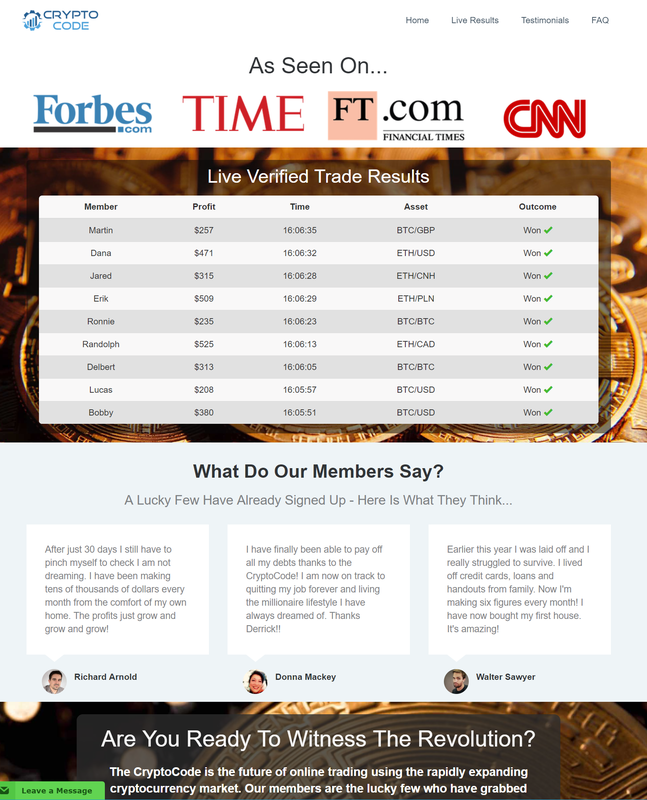 Use the invitation code above to receive an extra 1,000 GBP after registration! This message has been sent automatically because scage@letsignit.com has requested us to send you this invitation. The country code CF is for the Central African Republic and is not a likely source for someone recommending crypto-currency trading in the UK. We appear to have been forwarded to https://cryptocode.online/ which is obviously a way of making you think you are still looking at a company in your own country. Cloudflare do not officially host anything - they are an intermediary for data flow. So immediately we notice that this site has been thrown together using a simple template and they haven't even bothered changing most of the icons and photo before publishing. Whoever Derrick Simmons CEO is, his photo and name are undoubtedly a fake. This site is not affiliated in any way with Time Magazine, Forbes or CNN - be extremely careful of any site that you arrive at from email. No one has just 'won' $4576 USD - this site is not even offering a lottery. Now this is a website requesting money to be deposited which means that it is extremely dangerous and you should not enter any personal or banking details at any time. The company is registered in Bulgaria, at R.A. Hadzhi Dimitar bl., 113., en A., fl. 4, app 8, Sofia 1510, Bulgaria but their live chat is not functioning now - 5pm their time - in the working week. There is a phone number in Bulgaria which I will not call but these are required to keep the website open under EU and Bulgarian law. All of these sites will reside on the same server in order to use the same certificate for security. How does crypto trading work in your case – what would the input from myself be? Do I actually decide how the trading is performed or is it completely automated? Will I be able to see how I gained or lost money, or it is all automated and undisclosed? This service is asking for card numbers in English worldwide but is stationed in Bulgaria with no mention of how fund transfers are made, no mention of how trading is accomplished and no record of how trades are made to the website users. 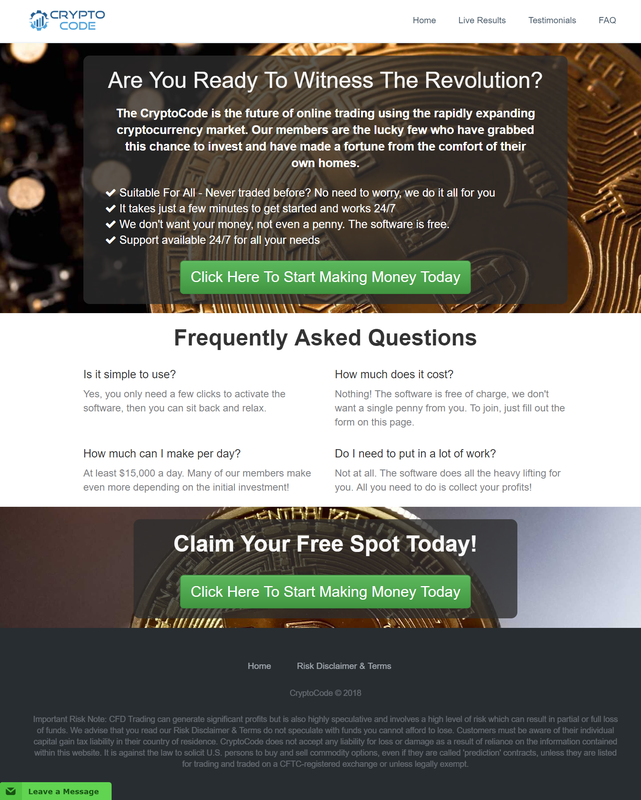 Money is taken, the website feeds them nonsense for a few weeks and then they shut down and disappear before reappearing with the same service under a different name and start spamming everyone all over again.